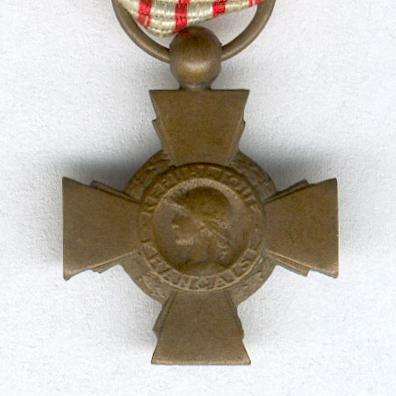 Miniature bronze cross pattée imposed on a shorter cross patteé, with laurel wreath between the arms, with laterally-pierced ball for ribbon suspension; the face with a circular central medallion bearing a helmeted female head facing left, representative of the French Republic, within a ring inscribed ‘REPUBLIQUE FRANCAISE’; the reverse with circular central medallion bearing an upright sword, the hilt imposed on rays, inscribed around the edge ‘CROIX DU COMBATTANT’; Paris Mint cornucopia bronze assay marks to the base of the lower arm of the cross; age-toned; diameter 12.33mm (0.48 inch); on original age-faded ribbon with wire loop at the top for wear.. 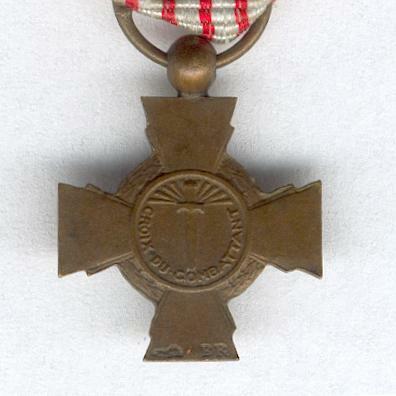 The Cross was created on 28 June 1930 and intended for ‘all those who, at peril to their lives, defended the motherland’. 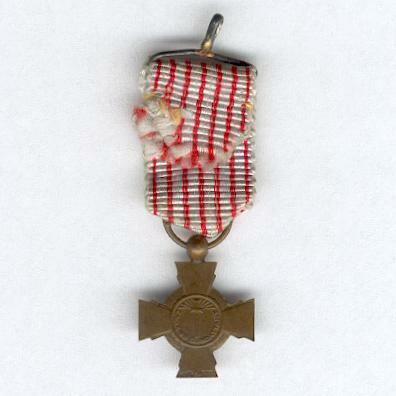 Those holding the ‘Carte du Combattant’ had the right to wear the award. 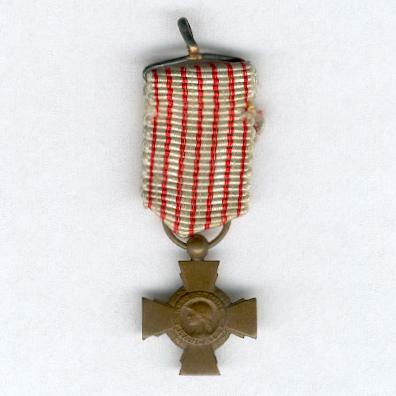 A good period miniature.